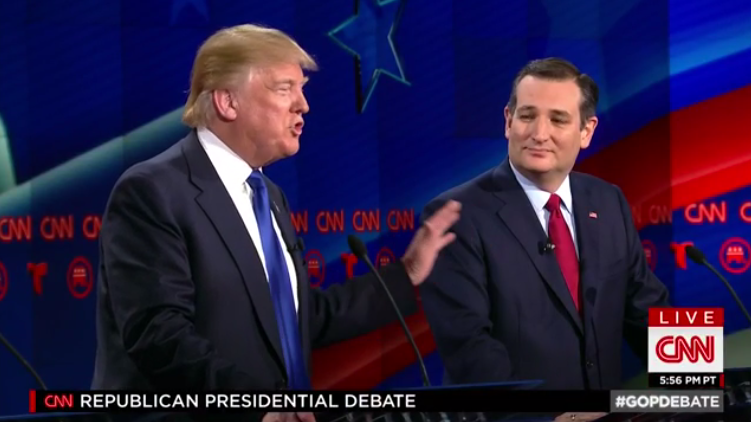 Trump to Cruz: Nobody Likes You! Donald Trump criticized Sen. Ted Cruz during the CNN Republican presidential debate in Houston Thursday night. Trump said that the reason Cruz has yet to secure a single endorsement from his fellow senators is because he's incapable of getting along with his peers. “You get along with nobody,” he fired. “You don’t have one Republican senator and you work with them every day of your life – although you skipped a lot of time. These are minor details,” Trump quipped. “You don't have one Republican senator backing you," he went on. "You should be ashamed of yourself." Check out his remarks in the short video clip below.